According to its title translated means "king" Korean beef rib roast followed closely as the name of the restaurant BBQ King, to recognize that the menu is rich and very much look 1 in disorder do not know what to call .. . so I decided to try some barbecue set to enjoy a variety of dishes at the same time more. However the quality of food is not so serious, "King" as desired. Panchan dishes (Korean-style toppings) are slightly less free than many categories as HQ few other restaurants in Saigon (you do like many dishes included free Hanbi least have to shop, eat has many prices are affordable, or Seoul House or Large Note also ok). The staff is very enthusiastic King BBQ grill continuous fears, cooked meat is chopped up, divided by each individual in each corner for just a little guilty as electric oven grill away so long cooked meat. And here's the panchan dishes attached. Each 1 part barbecue would call out together with 1 cup cooked rice, if you want to call it counted more rice 15k / 1 cup of rice more (while in the free unlimited Hanbi). King BBQ - grilled beef rib Korean king. This is 1 set is full of pork and beef to the octopus. Grilled beef, sweet taste characteristic bold style Korean marinated beef very tender and delicious. Grilled meats with red chili dot this, not too spicy, just one little taste slightly. Eating the right kind of book, it must be rolled kebabs with vegetables, a bit like the rolls in Vietnam that. Bacon chili sauce, but no spicy food at all. Baked long waiting impatiently waited nine í always. Prefers its kind available chopped bacon is always to shrink when baked on grease to eat raw piece is shorter than this. But this is the most tasty dishes of grilled meats. Vermicelli stir-fried beef, not too bold but generally easy to eat, soft, not chewy noodles. This dish, I like to eat the most NH Khan. The restaurant has a variety of areas, but we like to choose the type sitting area sitting tatami rooms for comfortable foot drop. Membership cards of this system (including King BBQ, Capricciosa, Seoul Garden, Thai Express and Xinwang Hong Kong) shall be reduced by 10%. At lu bu eat too (actually more worried us too), so forget about taking the menu, you see the bill charges the bared support. Conclusion: if you crave barbecue when walking around in Vincom, I also can look here to eat, even if you intend to eat first, then much better place. Like many other Korean restaurants, each of them is one big flat plate like this, together with utensils placed nearby. Note all 2nd and 3rd by 3 get 1 free promotion there should be a large restaurant. Bright restaurant space polite, but if compared to other restaurants on Aeon is a bit small. At the bar sat 5ph size that no one back asking to order anything, I had to call back several times, then take to a new, re-recorded with her boyfriend 1 order, you should call him to say all the dishes, every 1st what then forks like more calls. I also agree. While waiting for the kitchen to dish out, then you can this buffet line for selection of ready-made dishes. According to her, it also saw many dishes, but dishes are not many vegetable dishes barbarians are okie, but the dish was a bit cold nitrogen. 2 kinds of salad, 1 salad again, but all lost. Salad is not really how much. How many types are themselves seen most stable, is hardly the type commonly found in Korean cuisine in the bar Panchan: Price Park, Kimchi Three Sac, spinach and kimchi. Eat your favorite spinach sesame oil mix like this. There are 3 kinds of soup soup to ready but that he does not look very appealing, so I do not get. To bring order to take a little while more delicious table. So where employees suddenly brought up one pile of food. While everyone to attention lit charcoal stoves has not been anything, how baked? Crib countries also have not seen brought up calls. Then the new stop urging her to serve up both, finally have something to eat after waiting nearly 30ph. Basic vegetable common in Korean bars, used to eat with barbecue. Fresh water here suffer too (29k), plus there is a lot of drinking super gas has, but kicked many, but fresh water is fresh, not cans anymore. Tiny tip to everyone is advised to carry water to manually adding new wealth (do not tell anyone hears dentist). Los Angeles beef are many delicious and quality assessment. Delicious by sweetness emanates from the piece of meat marinated and not need anything more. Up fragrant steak. Relatively few bars dotted ssamjang as other HQ. Smokeless coal and smoke removal systems should not sound any smoke stick pieces. Up fragrant roast beef. Cows here, many kinds, brought out his first time out is also not known what kind of name is always so that roast and eat it. But pay attention to this kind of beef marinated in soy only three charming renovation quite a bit better than some other types of light. 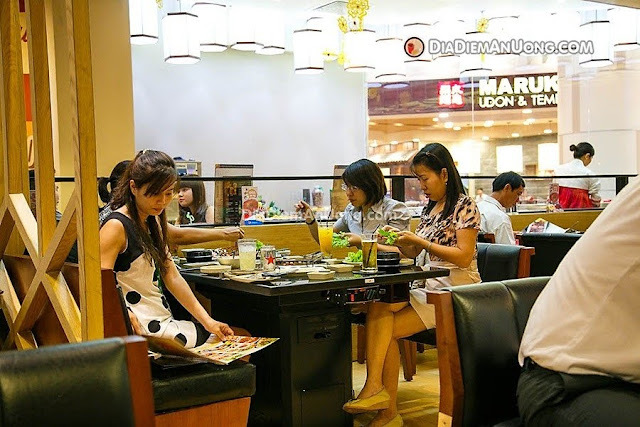 In general, eat beef here okay, but eating too much beef very bored, so called alternately add other seafood dishes.